This story has been updated to include a response from Wells Fargo. A report by a management consulting firm predicts Wells Fargo will suffer the loss of thousands of banking customers in the next year who will take with them billions of dollars in deposits. The firm, cg42, said it performs a periodic review of the banking industry to predict customer attrition across the top 10 U.S. retail banks and analyze its financial impact to the industry. “The results of our Wells Fargo Mini-Study paint a bleak picture for the largest U.S. retail bank and unfortunately validate the ominous findings from our 2011—2015 Retail Banking Competitive Vulnerability Studies,” cg423 said in a statement. In that previous report, it predicted Wells Fargo stood to lose tens of billions of dollars in revenues and deposits if it didn't address consumers biggest complaint. The report says customers overwhelmingly complained that Wells Fargo kept trying to sell them financial products they didn't want. A spokesman for the bank suggested there is little evidence for cg42's predictions. On Friday morning, the bank reported third quarter revenue of $21.9 billion, slightly beating estimates. The cg42 report traces the consumer unrest to Wells Fargo's well-documented scandals. In 2016, it revealed that employees had opened millions of checking and credit card accounts without customers' knowledge or consent. It was also fined for selling insurance to auto loan customers without their knowledge. The cg42 report found an increase in the number of consumers who said they are dissatisfied with the bank. The biggest complaint charged Wells Fargo engaged in “dishonest, unethical, or illegal practices.” Customers also complained the bank pushed them to agree to products and services they didn't want. The report estimated that as many as 30 percent of the bank's customers are in risk of closing their accounts and moving to another financial institution. It said up to $93 billion in Wells Fargo deposits could be at risk. According to an analysis by CNN, that's about 7 percent of the bank's total deposits. 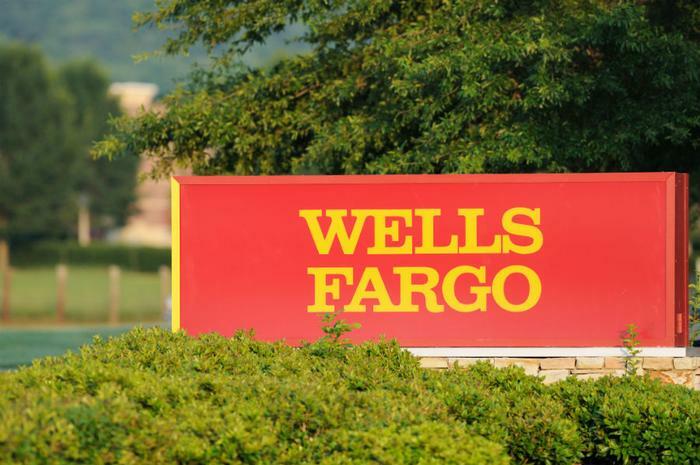 Separately, Reuters reports that Wells Fargo has expanded its Washington lobbying team, specifically to inform lawmakers about a number of “good citizen” efforts it has recently undertaken. The bank has been publicizing its support of programs ranging from financial literacy to care for homeless veterans.